“No motivation to exercise? It’s all in your head: Your brain is wired to keep your body at rest. 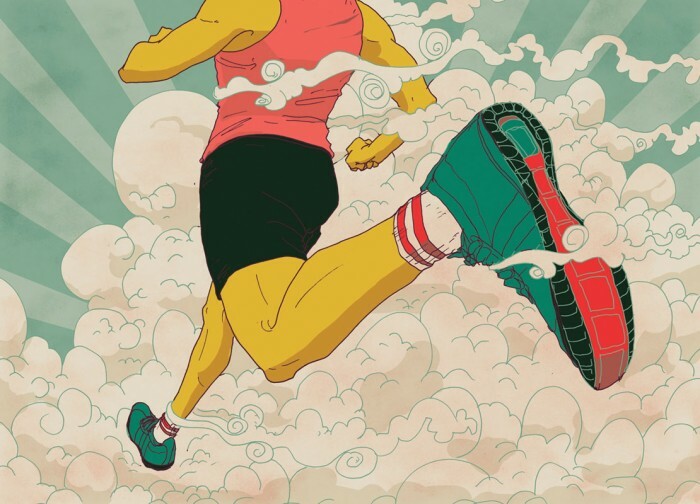 Here are 5 ways to rewire it:” This was for an article about how to trick your brain into enjoy exercising. 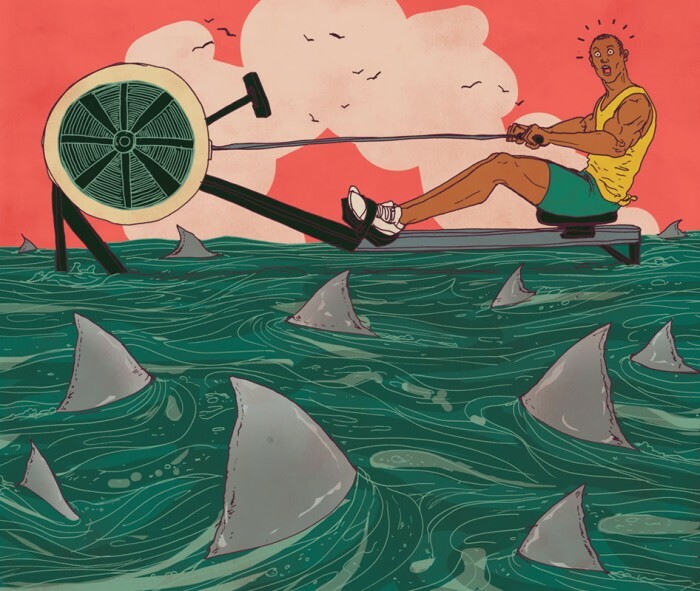 Mike could definitely relate to needing an extra little mental stimulation to get him excited about working out…so perhaps this was his inspiration for these great illos. First is the opener followed by a couple smaller pieces to accompany the article.